!! 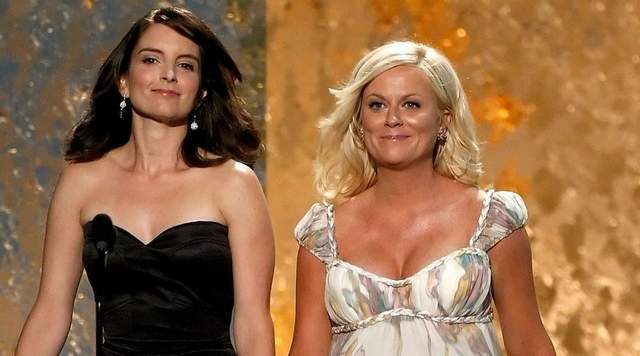 OMG, best news ever: Tina Fey and Amy Poehler to host the Golden Globes !! Yes! The 2013 Golden Globes just got a whole lot more exciting — Tina Fey and Amy Poehler will act as hosts for the live ceremony on Jan. 13 at the Beverly Hilton Hotel. The pair replaces Ricky Gervais, who hosted for past three years under criticism for the pointedness of his jokes. 1 Comment on "OMG, best news ever: Tina Fey and Amy Poehler to host the Golden Globes"
Great idea. I love them together and since Amy is single ……..